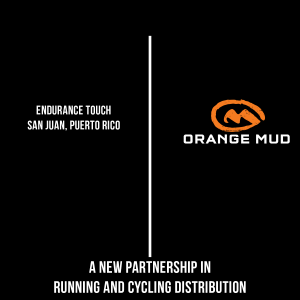 Castle Rock, CO (January 15, 2019) – Orange Mud expands international distribution with Endurance Touch in Puerto Rico. Puerto Rico marks Orange Mud’s 20th international distribution arrangement, and Orange Mud celebrates its 7th year of business this month. For additional information in Puerto Rico, please contact. You can learn more about Orange Mud Hydration Packs and Accessories at www.orangemud.com. About Orange Mud: Orange Mud was founded in 2012 by Josh Sprague after being driven to “Innovation through Frustration.” After years of Adventure Racing, Mountain Biking, Running and Triathlon, Josh needed a stable, comfortable, and functional pack that just wasn’t available on the market. Starting with a single bottle carrier prototype, and growing to now offer over 50 hydration packs and accessories, the mission of Orange Mud has remained the same. Create innovative products that work just as well for the elite runner as the person at the back of the pack who’s spending the most amount of time testing the true limits of themselves and their gear!